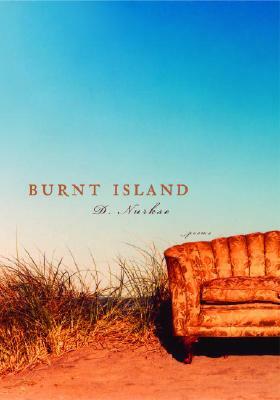 D. Nurkse’s Burnt Island explores tragedy both grand and intimate, in city and country, in our own troubled moment and across the greater scope of geological time. Arranged in three “suites” of lucid, often heart-wrenching verse, the book begins with a city under siege, in a group of poems that becomes a subtle homage to New York after 9/11–a metaphorical “burnt island,” where diggers doze on their shovels, citizens contribute bottles of water, M&M’s, and casseroles to recovery efforts, and survivors, mesmerized by the photos of the missing, compare them “scar by scar with the faces of the living.” Nurkse then takes up the journey of a couple starting again in nature at a specific place called Burnt Island, where the elements instruct them, seeming to mirror their conflicts and strife. Finally, in a charming and profound series of poems centered on marine ecology, he finds the infinite in the infinitesimally small, and offers us, in sparkling, mysterious verses, the strange comfort that comes with observing the life of the ocean. D. Nurkse is the author of eight books of poetry. He has received the Whiting Writers’ Award, two National Endowment for the Arts fellowships, two grants from the New York State Foundation for the Arts, and other awards. He has also written widely on human rights. D. Nurkse’s The Fall is available in Knopf paperback.